This old Volkswagen is an amazing car that is also affordable. We cover a ton of high-priced collectibles on CarBuzz, but what about cars that regular people want to buy? Introducing: Fun Cars On A $20,000, our latest segment that will focus on weekend cars and second cars to have some fun with that you could also use as a daily driver. Before the Ford Focus ST and Focus RS roamed the streets of the US, there was only one hatchback king: the Volkswagen Golf. Not only did the US receive the excellent Golf GTI, we also got the king of all hot hatches: the R32. VW’s R32 was the top of the range Golf model that was eventually replaced with the Golf R. Many people have forgotten about the R32’s greatness, but we certainly haven’t. Here's a nice reminder of what made the R32 so special. 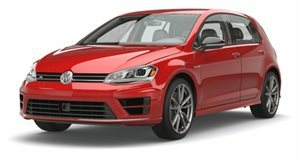 In Europe, the Golf R32 was a bit more common, but the US market only received the car for two nonconsecutive model years. The first R32 was sold in 2004 and was based on the Mk4 Golf platform. The European model was the first production car to come with a DSG transmission, but the US only received the six-speed manual transmission. The engine was a 3.2-liter VR6 with 237 hp and 236 lb-ft of torque. Power was sent to all four wheels through a Haldex AWD system. The car shared many of its components with the 3.2-liter Audi TT, and came fully loaded (in the US) with every available feature that was offered at the time. The car hit 60 mph in 6.6 seconds and completed the quarter-mile in 14.1 seconds. The second R32 model that came to the US was based on the Mk5 Golf. In the US, the Mk5 R32 was only sold as a 2008 model with very few available options. The US only received the two-door model with the DSG transmission. US models were fully loaded with the main option being a navigation system. The Mk5 R32 had an updated VR6 engine which produced 247 hp and the same amount of torque. The 0-60 mph time was reduced to 6.2 seconds thanks to the quick-shifting transmission. The Mk5 had a much more modern looking interior as well as the signature center-mounted dual exhaust pipes. Speaking of exhaust pipes, we have't even gotten to the R32's party piece, its amazing sound. The R32 is easily one of the greatest sounding six-cylinder cars that has ever been produced. The four-cylinder turbo in the Golf R may be fasterand easier to tune, but it can not match the sound of the R32. These cars really do sound like supercars, and they can now be purchased for an affordable price. We found a Reflex Silver 2004 R32 with 78,000 miles on it for $13,991. The car is listed for sale at Mini of Fort Meyers in Florida. We also found a Deep Blue Metallic 2008 R32 with 87,000 miles for $13,888 in California. Both of these cars might not be the easiest cars to maintain, but both can be incredibly fun for anyone who is looking for an awesome car without breaking the bank.